Alchemical literature is both text and image based. Many manuscripts and printed books are profusely illustrated with coloured drawings, woodcuts and engravings. 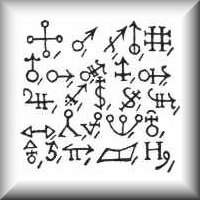 Imagery is thus a very important aspect of alchemy. Through this section you can explore many of the different facets of this imagery.